The International Labor Organization, a Geneva-based UN specialized agency, predates the United Nations itself. In April 2019, it will be celebrating its 100th birthday. The ILO, unique among UN agencies, has a tripartite composition consisting of representatives of governments, labor organizations, and employers. It is responsible for global labor law, consisting of 189 conventions and over 200 recommendations, declarations, guidelines, and other hortatory instruments. Its highly political agenda includes promoting freedom of association and the right to strike, as well as discouraging discriminatory practices and child labor. 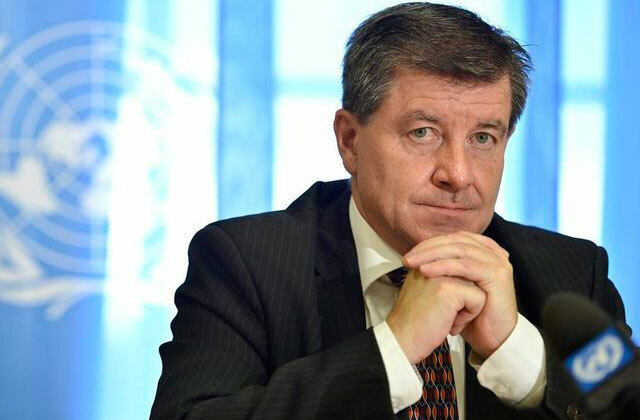 Guy Ryder, Director-General of the ILO, who has championed “The Future of Work” as the ILO’s central challenge, will address this and other issues relating to the organization’s part, present, and future. J.E. Alvarez (Herbert and Rose Rubin Professor of International Law) and David Malone (UN Under-Secretary General, Rector of the United Nations University, Senior Fellow of the IILJ) will also participate in the discussion.